Bank of America Mortgage – How to Apply? Do you want to own your home with a mortgage application that puts you in control? With the Bank of America Mortgage, you can get your dream house with ease while enjoying various perks. Go on to find out how to apply for the Bank of America Mortgage. As a leading US bank, Bank of America offers a wide variety of financial services depending on your requirements. Aside from providing personal loans, it also provides a home mortgage facility, that comes in different types, including fixed-rate, adjustable-rate, Jumbo loans, Affordable Loan Solution and FHA and VA loans. To give you a better understanding of how Bank of America Mortgage works, let’s tackle the fixed-rate type. Bank of America’s fixed-rate mortgage is ideal for people who want to keep the current rate to avoid complication and stay in their homes for many years. Still need more information before you order a Bank of America Mortgage? Here are some of the advantages and perks that you can enjoy from this financial product. Bank of America takes pride in its advanced digital platform where aspiring borrowers can apply for a mortgage with ease. Securing a mortgage can take some time like obtaining various documents. So, having a convenient ordering system is a privilege worth enjoying. The bank’s website is also equipped with a prequalification assessment feature, allowing you to estimate the total amount you can borrow from the bank for your home. Through this feature, you can quickly check whether you can afford to buy a large house or settle for a smaller one. The website also has advanced features with a mortgage calculator and closing costs calculator to give you the figures you need without the need of assistance from people well-versed in financing. The lender also provides a wealth of information for first-time homebuyers so that they are properly guided in their attempt to own their dream home. Are you getting excited in ordering a Bank of America Mortgage? Before you click the Apply Now button, you should first familiarize yourself with the application process and requirements. 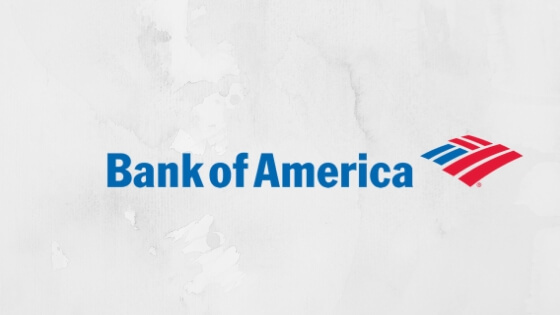 You can apply for a loan by visiting the Bank of America website. The bank also requires the documents of borrowers to verify your creditworthiness, employment history, and financial condition. You also need to provide the bank other relevant documents such as recent pay stubs, complete bank statements for all financial accounts, personal and business tax returns and other papers. To be considered creditworthy, you must have at least an average credit score (620 or over). You can loan from $60,000 to $2 million, depending on your financial capacity and credit standing. Bank of America Mortgage charges a variable closing costs fee (3% to 7%) that you should pay upfront. You can compute the closing costs using the closing cost calculator ($8,076 for a typical 30-year fixed rate mortgage estimate). You also need to shell out a down payment of 5% to 20%, depending on the amount of your home and loan type. As for the interest, as of this writing, the interest is 4% and APR is 4.16% for a fixed-term mortgage. Overall, applying for a Bank of America Mortgage is ideal for you if you want fast processing and approval of your loan at a lower interest. Chase Mortgage – How to Apply? loanDepot Mortgage – How to Apply?